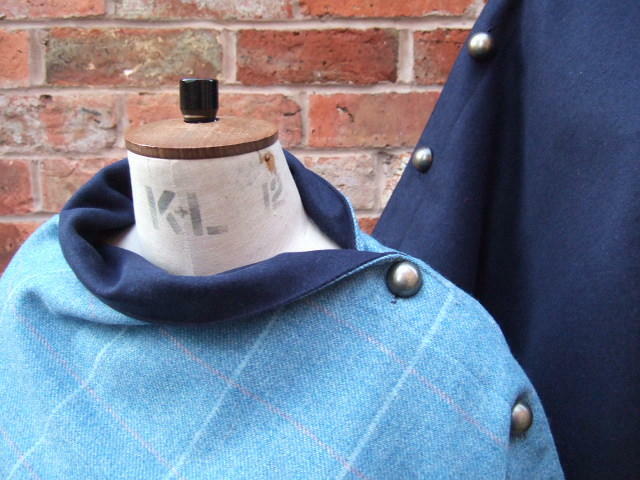 Lt Blue with Pink and Blue check Tweed and Navy Melton wool. Fully reversible double sided tweed throw wrap. Finest British Made Tweed. 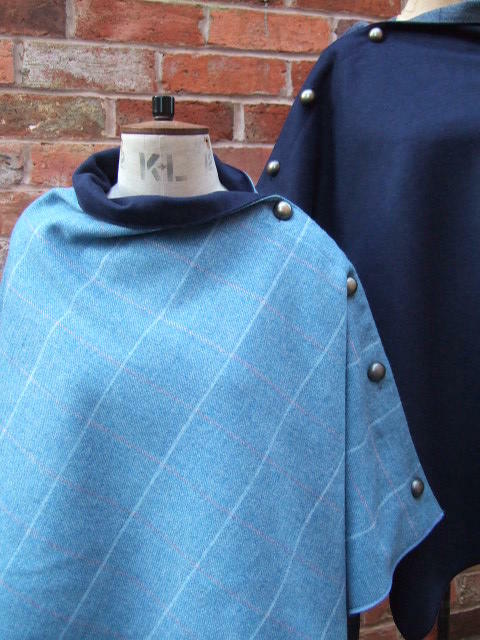 Made with a full tweed on both sides makes this throw not only very warm! but very good at keeping you dry!.